Sharp Filters. Sharp replacement HEPA Filters, Carbon Filters, Humidifying Filters, Sharp Filter Kits from the Sharp Authorized Dealer. 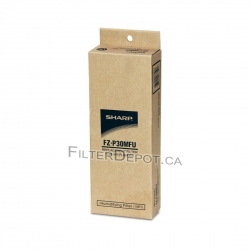 Fast shipping of Sharp Filters anywhere in Canada and US. Sharp Filters There are 22 products. Sharp Replacement HEPA Filter, Carbon Filter for Sharp FPA40CW (Sharp FP-A40CW), Sharp FPA40UW (Sharp FP-A40UW). Sharp FPF60UW (FP-F60UW) Replacement HEPA Filter and Carbon Filter. Sharp FPN25CX (FP-N25CX) Replacement HEPA Filter and Carbon Filter. Sharp FPN40CX (FP-N40CX) Replacement HEPA filter and Carbon filter kit. Sharp FPN60CX (FP-N60CX) Replacement HEPA Filter and Carbon Filter Kit. Sharp FPP30U (FP-P30U) Replacement HEPA Filter and Carbon Filter Kit. Sharp FPP40CX (FP-P40CX) Replacement HEPA Filter and Carbon Filter. Sharp FPP60CX (FP-P60CX) Replacement HEPA Filter and Carbon Filter. Sharp FPR30CX (FP-R30CX) Replacement HEPA Filter and Carbon Filter Kit. Sharp FPR45CX (FP-R45CX) Replacement HEPA Filter and Carbon Filter. Sharp FPR65CX (FP-R65CX) Replacement HEPA Filter, Carbon Filter, Humidifying Filter. Sharp KCC70U (KC-C70U) Replacement HEPA Filter, Carbon filter, Humidifying filter. Sharp KCC100U (KC-C100U) Replacement HEPA Filter, Carbon filter, Humidifying filter. Sharp KCC150U (KC-C150U) Replacement HEPA Filter, Carbon filter, Humidifying filter. Sharp KC830U (KC-830U) Replacement HEPA Filter, Carbon Filter, Mist Filter. Sharp KC850U (KC-850U) Replacement HEPA filter, Carbon filter, Humidifying Filter. Sharp KC860U (KC-860U) Replacement HEPA filter, Carbon filter, Humidifying Filter. Sharp FZ-A28HFU (FZA28HFU) HEPA Filter is Original OEM Sharp Filter. Sharp FZ-A28HFU contains HEPA filter for Sharp FPA28CW, Sharp FPA28UW. Sharp FZ-A40SFU (FZA40SFU) is original Sharp filter. 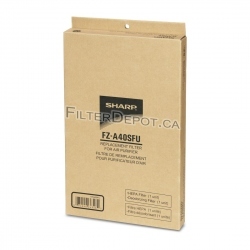 Sharp FZ-A40SFU includes HEPA and Carbon filters for Sharp FPA40CW, Sharp FPA40UW. 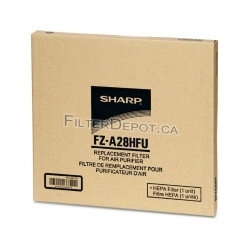 Sharp FZ-N25HFU (FZN25HFU) is original OEM Sharp filter. 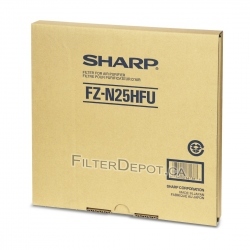 Sharp FZ-N25HFU contains HEPA filter and Carbon filter for Sharp FPN25CX (FP-N25CX). Sharp FZ-N40HFU (FZN40HFU) is original Sharp filter. 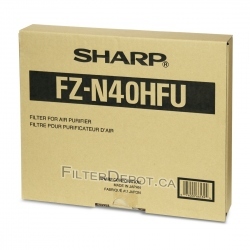 Sharp FZ-N40HFU contains HEPA filter and Carbon filter for Sharp FPN40CX (FP-N40CX). Sharp FZ-N60HFU (FZN60HFU) is original OEM Sharp filter. 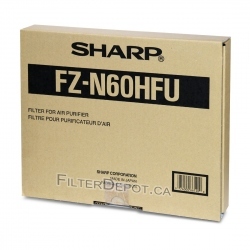 Sharp FZ-N60HFU contains True HEPA and Carbon filters for Sharp FPN60CX (FP-N60CX). Sharp FZ-R30HFU (FZR30HFU) is original Sharp filter. 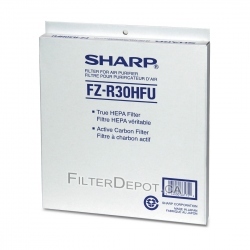 Sharp FZ-R30HFU contains HEPA and Carbon filters for Sharp FPR30CX (FP-R30CX). Sharp FZ-R45HFU (FZR45HFU) is Original Sharp Filter. 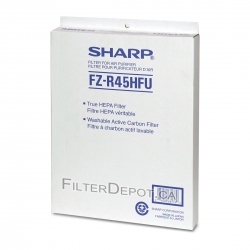 Sharp FZ-R45HFU contains HEPA filter and Carbon filter for Sharp FPP40CX, Sharp FPR45CX. Sharp FZ-R65HFU (FZR65HFU) is original Sharp filter. 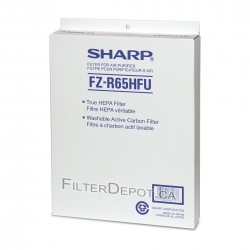 Sharp FZ-R65HFU contains HEPA and Carbon filters for Sharp FPP60CX, Sharp FPR65CX. Sharp FZ-P30SFU (FZP30SFU) is Original Sharp filter. 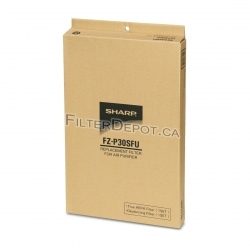 Sharp FZ-P30SFU (FZP30SFU) contains Sharp True HEPA filter and Carbon filter for Sharp FPP30U, Sharp KC830U. Sharp FZ-P30MFU (FZP30MFU) Humidifying Filter for Sharp KC830U (KC-830U). 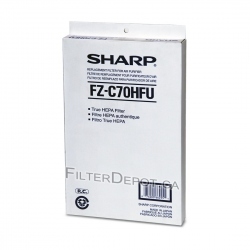 Sharp FZ-C70HFU (FZC70HFU) Replacement HEPA Filter is Original Sharp filter for Sharp KCC70U (KC-C70U). 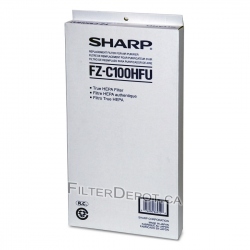 Sharp FZ-C100HFU (FZC100HFU) Replacement HEPA Filter is Original Sharp filter for Sharp KCC100U, Sharp KC850U.